The New York City St. Patrick’s Day Parade, the largest and most renowned St. Patrick’s Day parade in America, will be broadcast live for the first time ever in Ireland and the UK on March 17th St. Patrick’s Day Parade officials have partnered with IRISH TV to facilitate the international broadcast of the 255th annual Parade that will see 200,000 people walk up Fifth Avenue on March 17th. 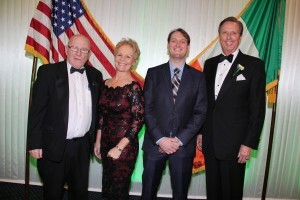 “IRISH TV is our ideal international TV partner and we are thrilled to have them on board, and we are thankful to have them join our wonderful host station, WNBC-TV 4 in New York, who have been great partners in bringing this international broadcast to fruition,” said Hilary Beirne, Executive Secretary of the parade. IRISH TV will also return to Armagh on St. Patrick’s Day for a live broadcast of their celebrations. Ireland’s ecclesiastical capital Armagh last year watched as their city celebrations were showcased to the world in a spectacular programme that captured the essence of Armagh, its surroundings and its culture.